As the weather begrudgingly warms up, more bugs are emerging. 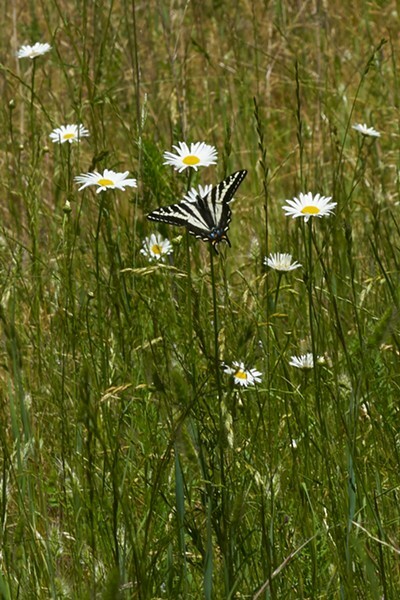 Lately along the Van Duzen River, I've noted pale swallowtail (Papilio eurymedon) and Lorquin's admiral (Limenitis lorquini) butterflies among others. 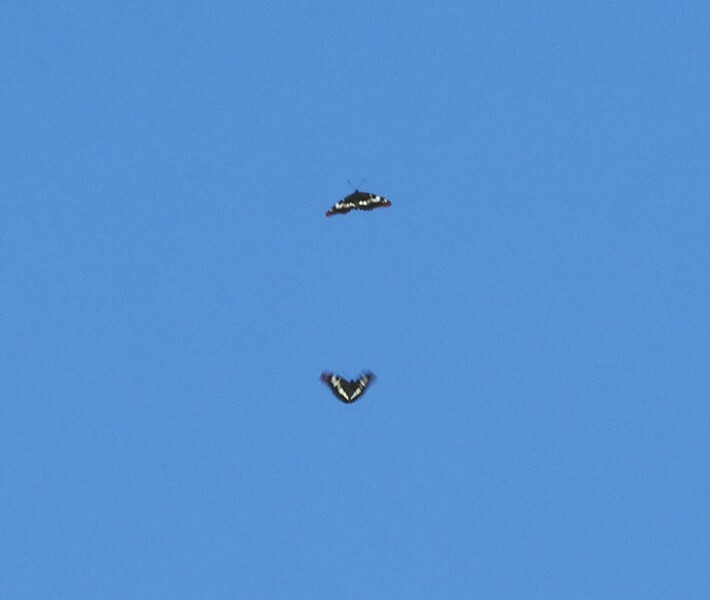 Two very territorial Lorquin's admirals square off for aerial dogfight. 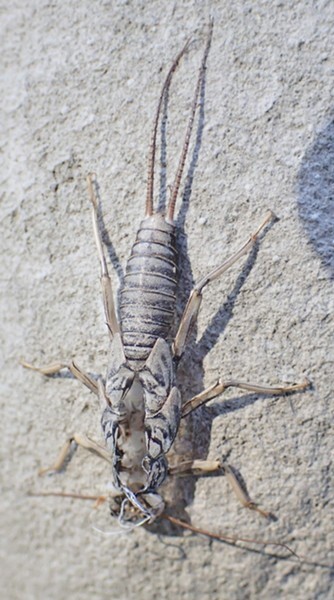 You can find quite a few stonefly (order Plecoptera) exuvia, or cast off husks, near the water's edge as naiads emerge, shed their last larval shell and emerge as flying adults. Empty and abandoned stonefly larval shell. The most remarkable insect I've seen lately was a male elm sawfly (Cimbex americana). Following a dragonfly into the bushes, I saw what I thought was a giant hornet in the weeds. Dark wings buzzing a deep bass note, it fumbled trying to claw its way up a stalk. I watched as it failed repeatedly and I noted its antennae ended in little clubs. That one feature told me it wasn't a stinging wasp at all, but a member of the family Cimbicidae of sawflies. I seldom collect insects but this one seemed seriously impaired and remarkable, so I caught it, took it home, killed and mounted it. It was so large I had to improvise a balsa spreading board to accommodate the thickness and width of its body. Members of the order Hymenoptera, along with ants, bees and wasps, this group eats plants and is totally stingless. 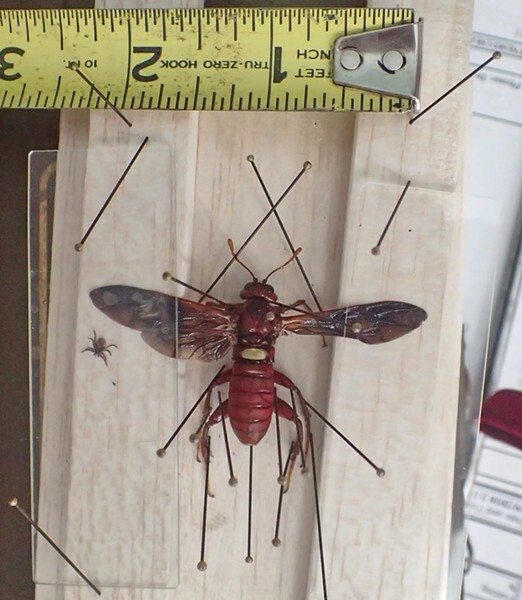 Mounted Elm Sawfly, Missing right hind wing shows life in the insect world, even as a giant wasp-looking thing, can be hazardous. The tick on the microscope slide reminds us they are out and about now. As larvae sawflies can be serious garden and forest pests. Looking much like moth caterpillars they are responsible for damage to many crop and ornamental trees and shrubs including rhododendrons, fruit trees, camellias and roses. Many species feed at night and hide in the leaf litter beneath their chosen hosts during the day, the only clue to their presence is the damage they've done to the leaves of the plant above. 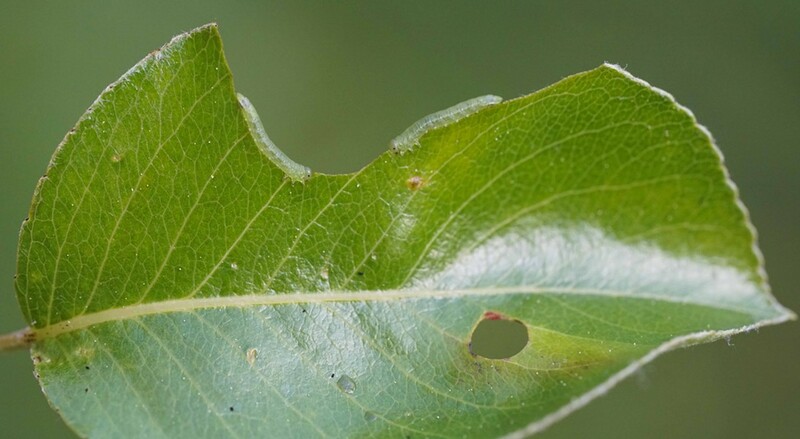 Sawfly larvae and tyupical damage they cause on an Asian pear leaf.